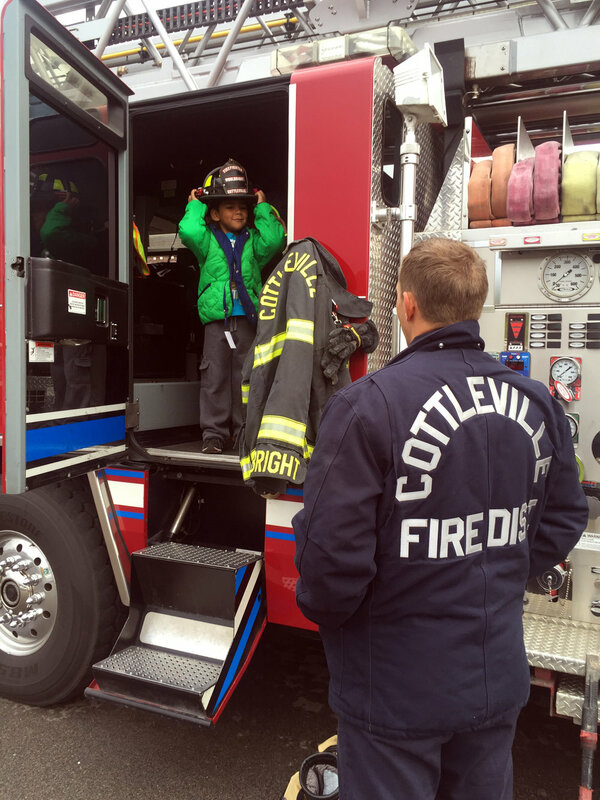 Throughout 2017, members of the Cottleville Firefighters Outreach raised funds to create a new program that would give new coats to kids in our community. We partnered with the Francis Howell School District to identify children who would benefit the most from these donations and in September we delivered over 450 new American-made coats to children around St Charles County. Off-duty CFO members and on-duty firefighters of the Cottleville Fire Protection District delivered the coats to children directly at their elementary schools. The children were able to pick their colors and sizes, making each coat special for them. To learn more about our program, contact us by email below.